Posted July 27th, 2018 by Legion & filed under BLATHER, Lamentations. The second part. You can find the first part here. I decided to take the original idea (at the end of the Author’s Notes in Vaginas Are Magic) at its word, mostly. This is a coed school that only accepts female/male fraternal twins. The sisters and brothers are taught by Witches and Wizards, also twins themselves. Have the player roll up two characters, the sister and the brother. They can then be played alternately, sister today, brother tomorrow, or brother day, sister night. Or they can be played together as a character-and-henchman duo, making one of them the dominant sibling. I’m sure there are other ways to play twins I’ve not thought of. Some good magic-like examples of fraternal sibling characters from comics are Fenris and the Beau_bier and Maxi_moff twins. Hell, the spells in these two books will even get you pretty close to some of their power sets. The knowledge in this book hails not from the deep past but from some alternate far future or antagonistic parallel plane. From somewhen between Mythos and Grim-Dark. 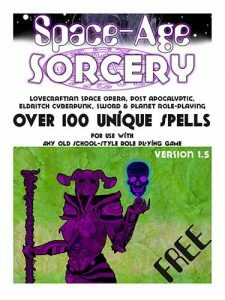 If your game involves monsters, villains and beings–between like Chemo and Despotellis, or the Ogdru Jahad and the Many-Angled Ones (or even just Shrooms and Vandroids) then Space-Age Sorcery is the school for you! It’s produced by Hereticwerks. Check them out. Their Low-End Loot and Trinkets & Trash tables are fantastic and fit fairly seamlessly into default Lamentations. 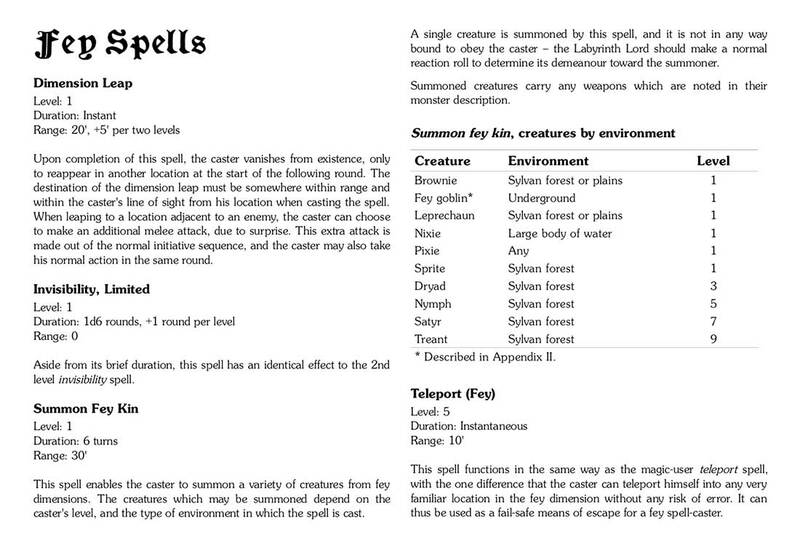 I’ve made one addition to the spells, as you’ll see in the pdf. So now there’s an even 80. And here’s a quick link to the Dungeon Funk Table. Because laughter is infectious. I gather this is the book that got the whole level-less spells thing rolling in Lamentations. There are some crazy-powerful “First Level” spells in here. Goto Better Than Any Man to get your copy. Everything about it is excellent. Bat’s been knockin’ it outta the dungeon for a decade. I think I found all his Wizard spells; there are a lot of them. I haven’t included any from this year ’cause it ain’t over; I might come January. I might not. 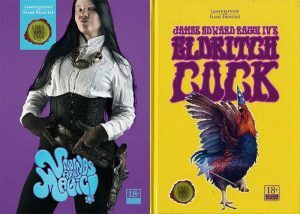 Here then are all the Eldritch Secrets from the Ancient Vaults, listed by Cycle (or, you know, year). It should be noted that a disturbance which began in the School’s 13th Cycle developed into the Calamity of Lost Knowledge of the 14th. Because of this, those two Cycles are presented as a single list. Once you’ve determined your Wizard’s Cycle and three starting spells just goto Ancient Vaults & Eldritch Secrets and use the search field (down a bit on the right) to find them. I should mention too, there is much to be gained by leafing through the other pages in the Vaults, for they contain many cleric, druid and illusionist Secrets as well as scores of magic items. In my games Elves are Dunsany rather than Tolkien. Think Vance’s Lyonesse, Shakespeare’s A Midsummer Night’s Dream, Three Hearts and Three Lions, Land of Unreason, The Broken Sword, Legend and Changeling: The Dreaming. 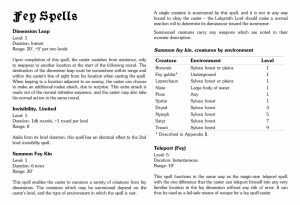 This isn’t so much a spell list for a school of magic as it is a part of playing an Elf character, whether PC or N-, in my campaign. 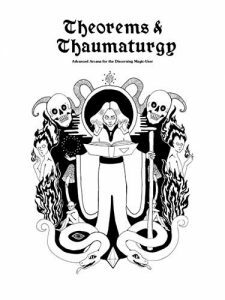 It looks like the version of Theorems & Thaumaturgy I have — that includes Elves as Fey — is no longer available (that link jumps to the new revised ed.). Well, I can’t find it anyway. But I did find this DnlD for the Fey Class on The City of Iron. Another really cool Fey embellishment from The City of Iron is the Many Fey, Some Fey pair of tables. Highly recommended. P.S. : 🎶 Happy Birthday 🎶 to the E.G.G. and I.